Black Hawthorn ‘Ajax’. 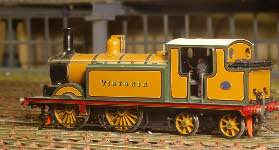 This is another High Level Models Kit, and as with the Neilson, is a delight to build - not easy, but excellent instructions, and everything fits together beautifully. 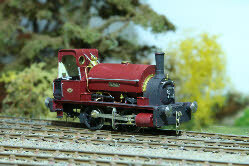 Plumpton brickworks now has three small engines in its roster, with another two to build. 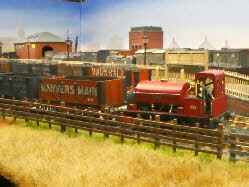 I think when Plumpton gets too big to take to shows (or more to the point, I get too old) maybe I will find space to build a small industrial scene. The loco will make its first public appearance at the Burgess Hill MRS on 2nd September, and will then be a guest on Martin Nield’s ‘Eccleston’ at Scaleforum 2017 (23rd/24th September) as the gas-works engine. 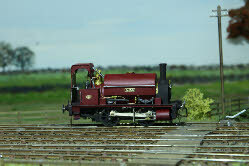 Here are two more photos of Ajax, in action on Martin Nield’s layout ‘Eccleston’ at Scaleforum.